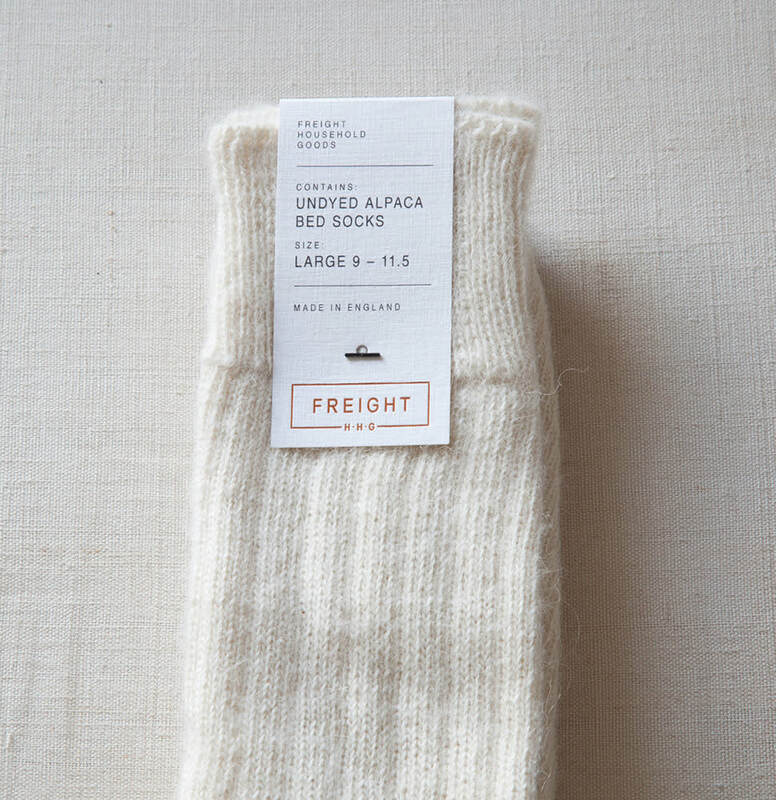 Freight HHG's ‘Bed Socks’ have a lower percentage of Nylon in them. Unlike the day sock which needs more support from the nylon to withstand wear and keep shape these are perfect for wearing in bed as they will not affect the blood circulation with less elastic in the sock tops. Care: Machine washable at 30 degrees on a gentle cycle. Freight Household Goods in Lewes, United Kingdom.